Super Junior D&E have successfully wrapped up their 7-city, 19-show Japan tour, '~Style~'! 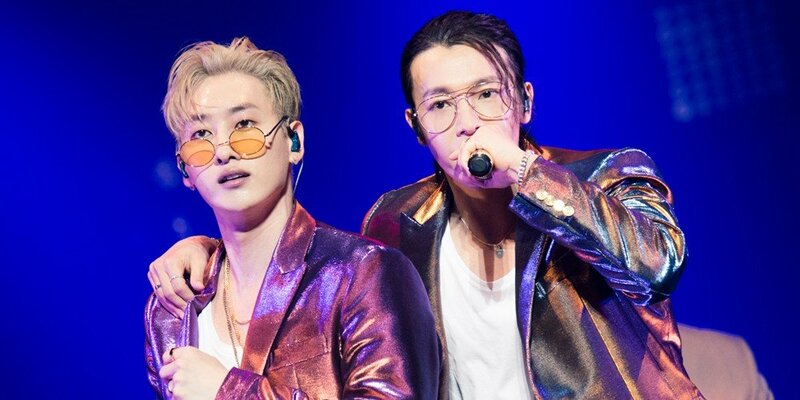 Beginning in September with Yokohama, Super Junior D&E toured all of Japan including Toko, Nagoya, Hiroshima, Sapporo, and more, finishing up with a set of encore shows in Tokyo's Nippon Budokan from November 8-9. The duo performed tracks including "Oppa Oppa", "I Wanna Dance", "Motorcycle", as well as numbers from their 3rd full album 'Style' including "Sunrise", "Here We Are", "Polygraph", etc. Check out some key photos from D&E's final concert below! They’ve both done done an amazing job, it’s sad they couldn’t perform in Mexico, but look forward to seeing them in Thailand. They are a perfect duo. Donghae seemed to have receding hair problem.